Mastercook is back on! For 12 weeks, we’re on the hunt for Luxembourg’s best hobby cook. In the very first episode, it was all about pasta. My fellow judge Tony Tintinger and I had to eat our way through 28 pasta creations – which the candidates needed to whip up within 30 minutes. We ended up choosing 8 winning plates, and these cooks will now have to battle it out for the next 11 weeks. I’ve decided to create my own “Mastercook recipe” every week, in order to show what I would have cooked on set. 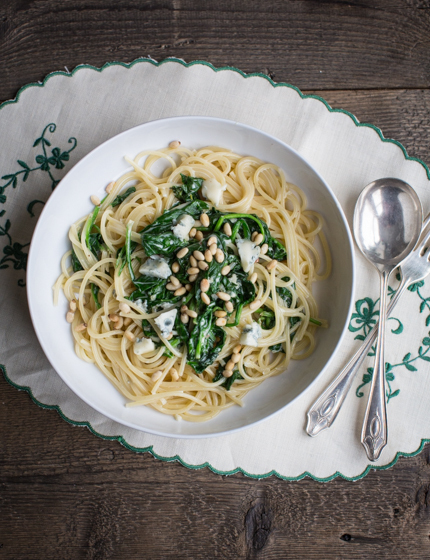 This week, my suggestion is a lovely spinach pasta with Gorgonzola – super quick to whip up and very yummy. Enjoy! 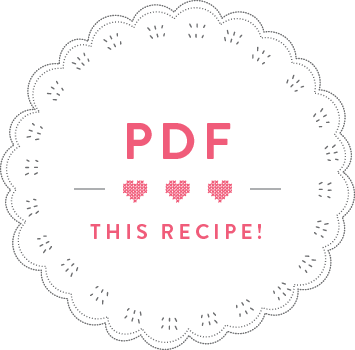 PS: If you want the recipe in Luxembourgish, you can find it here, on the RTL site. Dry-roast the pine nuts in a frying pan until they turn fragrant and golden, put into a little bowl. Wash the spinach leaves and roughly chop if they’re quite big. Peel and finely chop the shallots. Peel and crush the garlic cloves. Melt the butter in a frying pan and fry the shallots for a few minutes until soft. Add the garlic and fry for another minute. Add the white wine and the Gorgonzola and stir until the cheese has melted. Meanwhile, put the spaghetti into a large saucepan with boiling, salted water, and cook according to packet instructions until al dente. Once the cheese has melted, add the cream to the sauce and bring to a boil. Add the spinach leaves and stir until the leaves have wilted. Season the sauce with nutmeg, salt and pepper. Once the spaghetti are al dente, drain and add to the frying pan with the sauce, and mix. 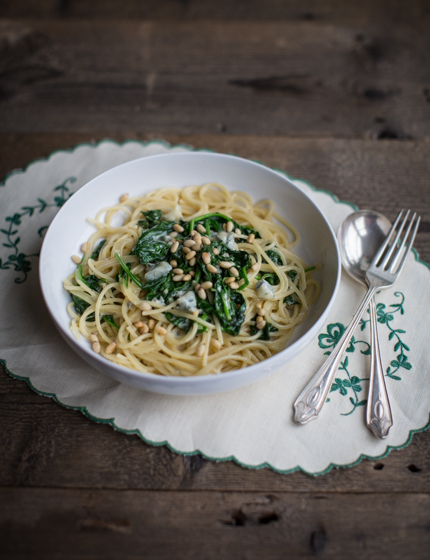 Divide the pasta between two plates and sprinkle with pine nuts.